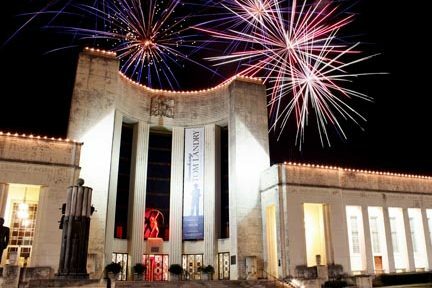 Please support the important work Dallas Historical Society is doing educating the community and preserving local history with your tax deductible donation. A tribute or memorial gift to the Dallas Historical Society is a meaningful way to honor a friend or loved one. Or, celebrate any special occasion with a gift of membership. For more information, please contact Karl Chaio, 214-421-4500 ext. 110. 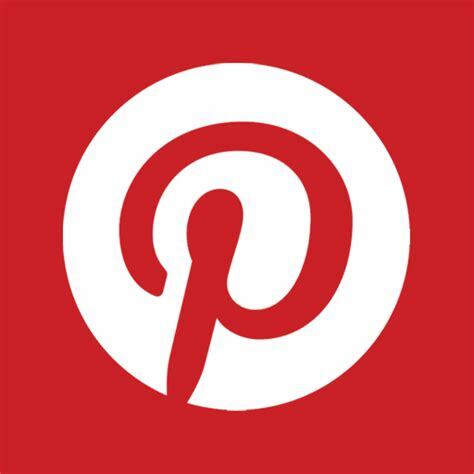 For a gift membership please contact Molly Nolan at 214-421-4500 ext. 107. Dallas Historical Society members and friends can help make a significant progress in preservation, education, and public access through gift-making in wills, retirement plans, life insurance policies or living trusts–all ways of planning for the future. A legacy can be as simple as a monetary gift to honor a parent, relative or friend, a life insurance policy, real estate or trust. If you would like to talk with us (confidentially and without obligation) about how your interests might contribute to the preservation of Dallas’s heritage, please contact our office. The DHS is always looking for historically significant item donations to add to our archive and collection. 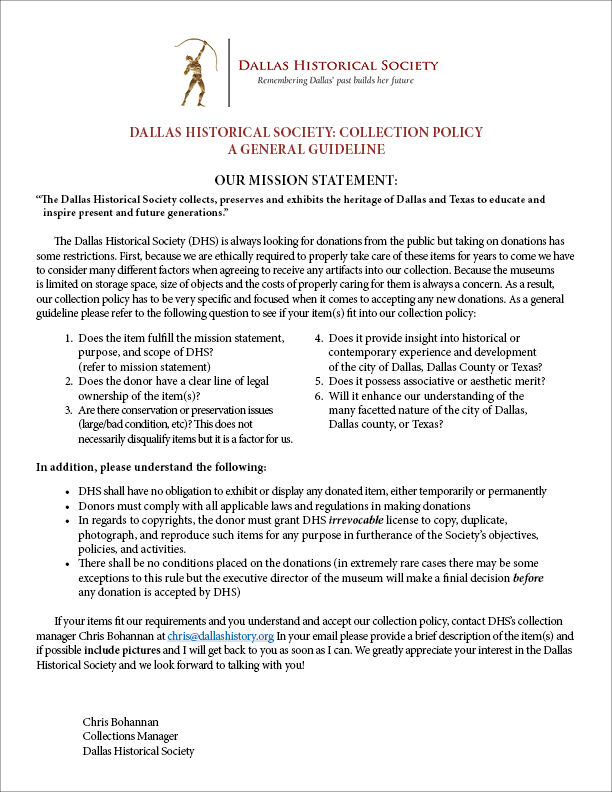 Please CLICK HERE to download and review our collection policy guidelines before contacting our Collections Manager, Chris Bohannan at 214-421-4500 ext. 117 or chris@dallashistory.org.